With two seeds to each cell of a sixpack container, I was able to space these climbing beans at the best distance. We were so late to get the vegetable garden planted this year. What with lots of rain and cold temperatures well into spring, it just didn’t happen. But we are not behind at all! About four weeks ago I started almost everything in flats and sixpacks, so that when we finally got the soil cultivated and the support systems and electric fence installed, we could hit the ground running. Or rather our vegetable plants could. I figured that since I’ve seen everything from bush beans, to lettuce, to tomatoes (of course), to zucchini available to purchase in small pots or sixpacks, there was no reason I couldn’t start my own. And so I did. 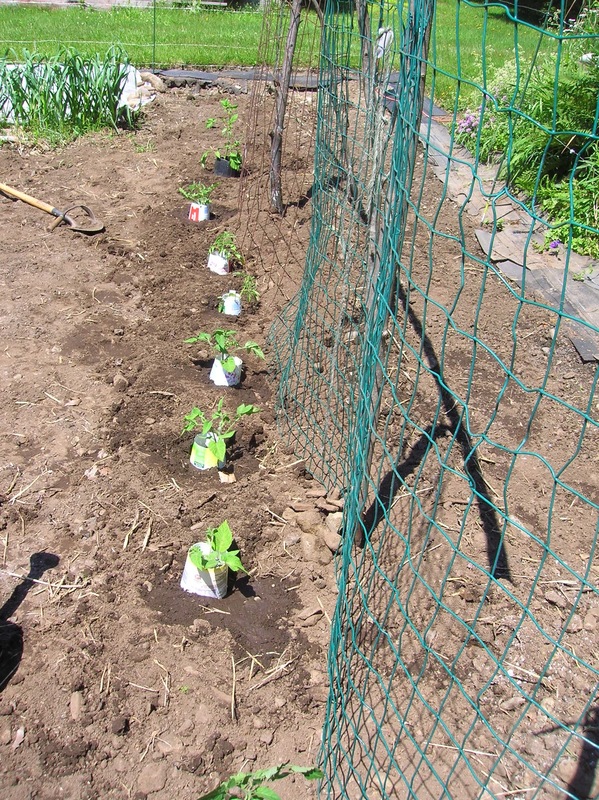 Start your own vegetable plants four to six weeks before you expect to plant, using a good-quality potting soil and your stash of small pots and sixpack cells. I did that with practically everything but the tomatoes which I bought as seedlings, and then repotted in large pots to give them a leg up on the season. The only thing I planted as seeds in the garden were the radishes and the sweet corn. However I have seen sixpacks of corn offered for sale too. So I suppose there’s no reason not to jump-start that too. Something to file for next year’s garden. Most everything went into the garden today. I have already started additional small containers — small batches are the best so that you don’t waste plants and seeds because of lack of planting space — of lettuce and spinach for succession planting. It was almost like an instant garden. And there’s another good reason to pre-plant, a few years ago I discovered that chipmunks were “harvesting” the sunflower seeds I had planted in the garden before they ever got an opportunity to germinate. The pre-planting in containers is the perfect way to combat such thievery and ensure that what you plant has already sprouted. Just wait until seedlings have secondary leaves and have established a good root system before putting them into the ground in your garden. 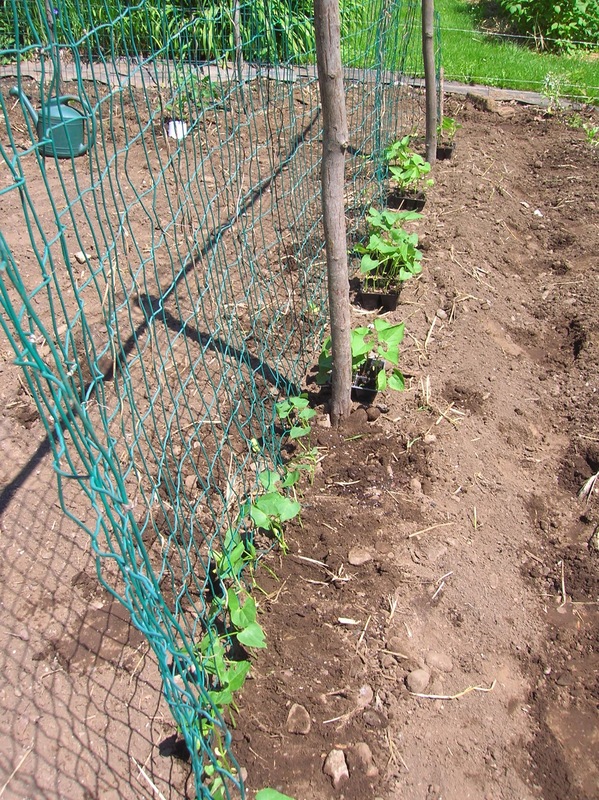 We have found the combination of climbing beans on one side of a fence support, and cucumbers and VanGogh sunflowers (find seeds from Renee’s Garden Seeds) make perfect companions in the vegetable garden. 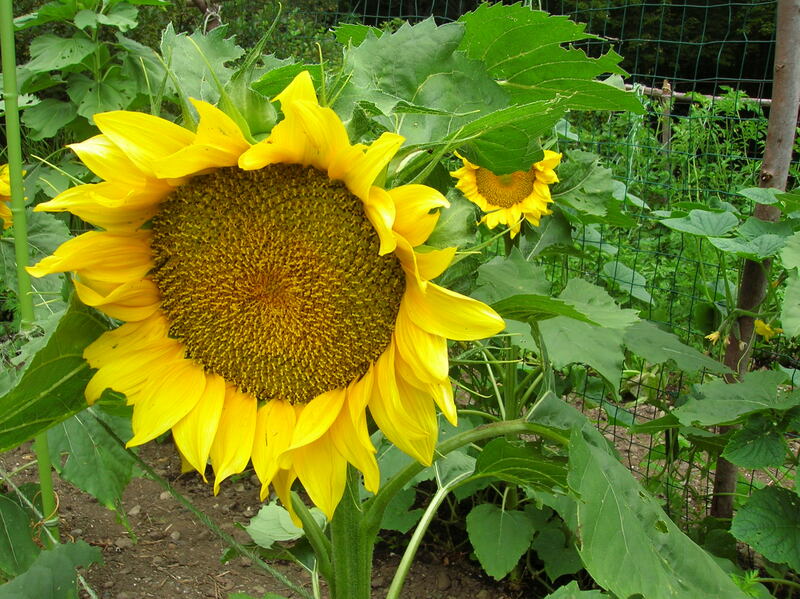 The cukes climb the sunflowers which grow to about five feet tall and have incredibly sturdy stalks. By removing tomato seedlings from their sixpacks and planting them in larger pots with good soil, they get a jumpstart on the growing season before they are ever planted in the garden. Combine cucumbers and VanGogh sunflowers for optimum results. 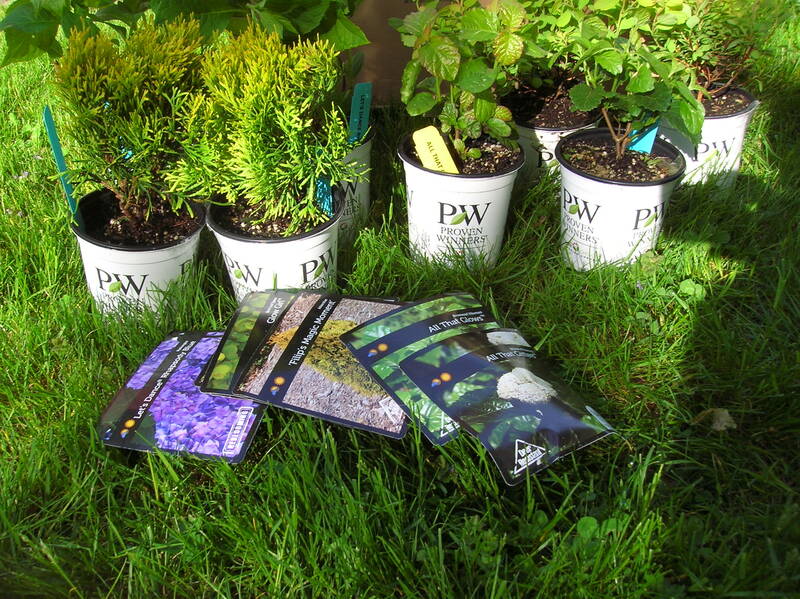 Proven Winners shrubs are here! Talk about a box full of potential. That’s what this garden writer recently received when a shipment of shrubs from Proven Winners arrived at my doorstep. The shrubs were sent to me so that I could try them out, and report to you on their merits.